3D printing technology has often been used to help an invention along on the path from a really good idea to a production-ready product. Case in point: three inventors had a great idea for a really useful kitchen utensil, and formed AGI Solutions Ltd to take the invention to the next level. But, they needed to find a good way to bring the product to the market, and called on UK-based prototypes and on-demand production parts manufacturer Proto Labs for 3D printing assistance. Ghazi Chowdrey had long noted his father’s frustration when trying to use a knife to spread cold butter onto bread, and really, who hasn’t felt that same frustration at this seemingly easy but actually nearly impossible task? Chowdrey was discussing the issue with his friends Imtyaz Ali and senior applications engineer Amit Pala, and the three came up with the idea for their ingenious EasiSpread product – a heated butter knife. The EasiSpread would be the first of two kitchen utensils AGI Solutions invented under the brand name EasiChef. The three capitalized on Pala’s experience in the aerospace, automotive, defense, and industrial industries, and after forming their company, sat down and designed the EasiSpread – a rechargeable, instantly heating knife – as a simple but effective solution for people thwarted by cold butter. However, AGI Solutions needed to have a working prototype in hand in order to increase potential investors’ interest in the EasiSpread, and the company thought that 3D printing technology might be the best way to go about it. 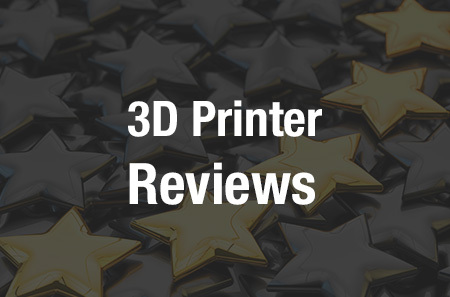 Products which require rapid design cycles often make use of flexible 3D printing processes, as the technology can help reduce the amount of time needed to both improve upon and manufacture parts and products. In addition, even if 3D printing doesn’t end up being the end process for a product, as in the case of EasiChef, the cost can go down as designs are able to be optimized ahead of manufacturing, and both single components and complex designs can be manufactured with less parts than if they had been fabricated using conventional methods. When 3D printing technology is used, startups, and designers like Pala, can also try out different product mixes when building complex prototypes. The company sent a CAD model of its heated butter knife to Proto Labs, which analyzed the model and began to develop the design for its blade and handle into parts for a proof of concept. Proto Labs used plastic material to 3D print the final “show and tell” parts, and AGI Solutions began an ergonomic testing phase, before introducing the production-ready EasiSpread prototype to potential investors for concept validation. At this point, AGI Solutions realized that the original idea for the EasiSpread could also be applied to scooping freezing cold ice cream out of the container, and Pala, using the design of the heated butter knife as a jumping off point, also designed the EasiScoop. The EasiScoop can be instantly heated up in order to scoop out hard, frozen ice cream. The company realized it was possible to detach both the EasiSpread and the EasiScoop from the rechargeable handle – this way, while the utensils are being washed, the handle is recharging on the convenient docking station. Both of the company’s EasiChef products made it to the top 20 in the 2015 British Inventors’ Project Awards, and they were also featured at the Gadget Show Live exhibition in Birmingham. Currently, the three founders of AGI Solutions are pitching their EasiChef products, in order to gain funding before the EasiSpread and EasiScoop are officially launched on the market. These innovative product prototypes, 3D printed by Proto Labs, are just another example of how the technology can be used to turn something that started as a simple idea into a fully manufactured solution to an everyday problem. Would you use these products? 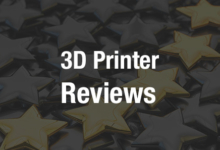 Let us know – join the discussion of this and other 3D printing topics at 3DPrintBoard.com or share your thoughts below.